Shutterstock/Albund. All rights reserved.Before committing their heinous acts, terrorist-minded individuals will be sure to wipe out all the information on their cell phones after learning in the media how the damaged handsets found near the San Bernardino shootings in early December helped the FBI track a confidante. They may also decide not to use phone communication altogether after reading precise media reports on how, in January last year, Belgian police were able to kill two jihadists after intercepting suspicious calls originating in Athens. The same ill-intentioned individuals will tear to pieces their receipts after finding out in the mass media how French police linked one of the terrorists of the Paris bloodbath to Brussels, thanks to parking tickets issued in Molenbeek, a district in the Belgian capital. These are only three examples of how detailed media reporting on police investigations can inadvertently help attackers avoid past miscalculations and refine their modus operandi. Journalists would argue that their job is to protect society's right to know. Yet in such exceptional circumstances, editors should ensure that the latest information they feed to their audience is useless to fundamentalists seeking to do harm. 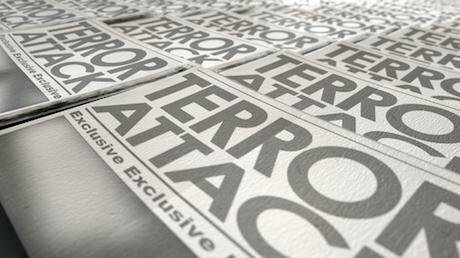 Editors should ensure that the information they feed to their audience is useless to terrorists. Having said that, it should be acknowledged that the media often plays a supportive role, assisting security services. To pick just one example, last year the American mass media widely spread an FBI call asking for the public's help in identifying a militant who appeared in an ISIS video. In other instances, “the media can hold back the publication of evidence or publish misleading information to assist authorities in apprehending a suspect by, for example, lulling him or her into a false sense of security,” stresses Raeymaeckers.